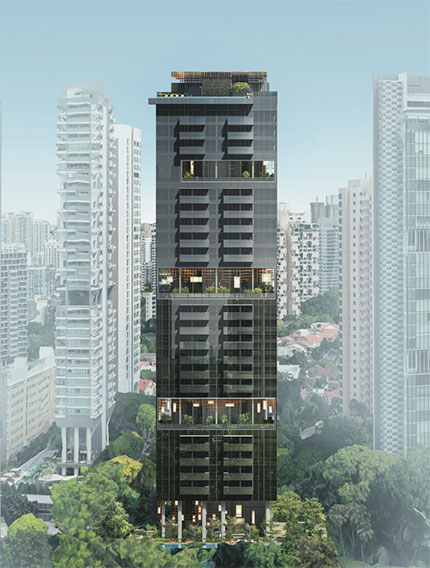 At the launch weekend of boutique luxury condo 3 Cuscaden on Nov 3 and 4, 15 units were sold at an average price of $3,577 psf, according to caveats lodged over that period. The 96- unit, freehold development is by a Sustained Land-led consortium. Fourteen of the 15 units sold were one- and two-bedroom units. The one-bedroom units sold ranged from 452 to 462 sq ft and were priced from $1.53 million to $1.77 million; two-bedroom units of 764 sq ft ranged from $2.6 million to $2.9 million. The sole three-bedroom unit sold at the launch weekend was a 1,281 sq ft unit that fetched $4.68 million ($3,650 psf). Over at Oxley Holdings’ Kent Ridge Hill Residences on South Buona Vista Road, 116 units out of the 250 released were taken up during its official launch on the weekend of Nov 10 and 11. Units were sold at an average of $1,700 psf. Of the 116 units, 80% comprised a mix of one-bedroom, one-bedroom-plus-study and two-bedroom units. The remaining 20% were three-bedroom units, penthouses and strata houses. According to Oxley, 80% of the buyers were Singaporeans and the rest were permanent residents and foreigners. In the same weekend, The Woodleigh Residences sold 31 of the 50 released units, at an average price of more than $2,000 psf. The 667-unit The Woodleigh Residences in District 13 is developed by Kajima-SPH, a joint venture between Japanese developer Kajima Development and Singapore Press Holdings. The Woodleigh Residences sales gallery will close from Nov 19, in preparation for the official launch in early 2019.